How much HEAT are you LOSING? When you look at the two images below, you see two ends of the heat spectrum. Spray Foam is darker due to the reduction of heat loss. 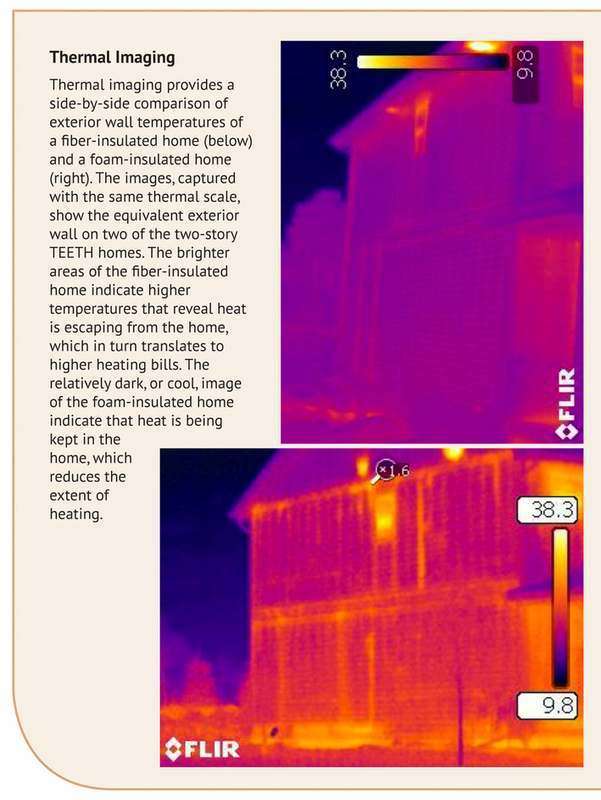 The Batt insulation allows significant heat loss as seen in the thermal image. Thermal imaging does not lie. Spray Foam is a much superior performer. As seen in Spray Foam Magazine. We first need to get a comparison system. 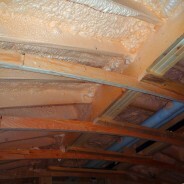 The ‘R-Value’ system is outdated and does not reflect the benefits of Spray Foam. When viewed in a list with just a price, Fibreglass seems to be the logical ‘cheap’ choice and that is just what it is, it’s ‘1-dimensional. Fibreglass has a R-Value of 3. Fibreglass will slow cold down but Spray Foam stops the cold, adds to the structure, resists mould, rodents and insects, stops air infiltration. Spray Foam is a multi-dimensional system that the old ‘R-Value’ system does not take into consideration. Spray Foam costs more upfront but is more cost effective over time making it the inexpensive choice.